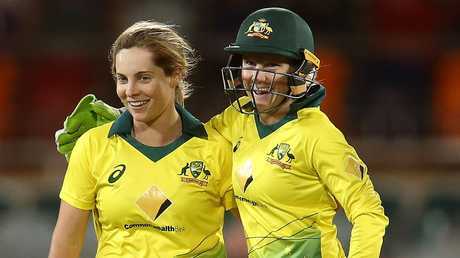 Australia is one win away from qualifying for the World T20 semi finals and all rounder Sophie Molineux says her side is confident ahead of Wednesday's clash with New Zealand. The tournament favourites have thrashed Pakistan and Ireland but face a tougher challenge against the world No. 2 ranked Kiwis at 10am Wednesday (AEST). Australia was too good for New Zealand in two matches in October, but had lost to the Kiwis in the previous three series. 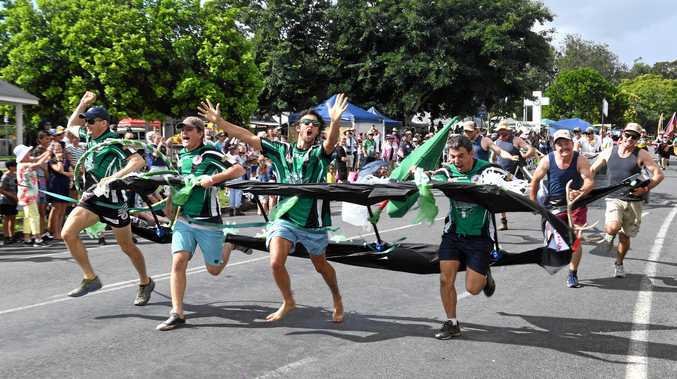 New Zealand lost its opening fixture against India so the clash is a much win for them. "We don't want to get too far ahead of ourselves but I suppose we played them in Australia not long ago and we were on our home conditions and knew how to play that," Molineux said. "We have to take these conditions into account. They've got some really strong players so we have to be on our game and hopefully we go in and play like we have been and we can be confident.
" … (A semi-final berth is) definitely a massive incentive … having the opportunity to play in a World Cup semi-final that really excites me and I'm sure it excites everyone else. 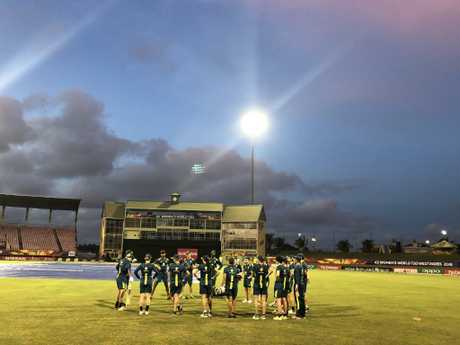 In preparation for the night game in Guyana, the Australians did some catching drills under the lights at Providence Stadium after their win against Ireland and trained at the stadium again on Monday night. Molineux hurt her left bowling hand during training ahead of the World T20 but the 20-year-old has appeared unaffected during the opening two matches as she has taken 1-21 and 0-18. "We've just been padding it up during the warm up and during training but it's pretty much fine," she said. "I just try not to get hit there I suppose, I've got to catch the ball." Molineux has edged out returning left arm spinner Jess Jonassen in the opening two matches. "I love having Jono around the squad, she's been really good to me," she said. "We've had a lot of great conversations about left-arm off spin and it's hard to see Jono running drinks, but at the same time she's ben really supportive of me and I'm really thankful for that. "I'm sure she'll get her chance and she'll take it with both hands. "It's just the way it is at the moment with this set up, the girls are in a really good place and it's hard to pick an 11 each game."